Running For Mental Health – Mine And Other’s! Anyone who follows me on Twitter or Facebook will know that I do a heap of running – running is cathartic for me. I don’t suffer from mental illness, but even so running keeps me balanced and positive. A few days off running and I get a little grouchy. It’s also an awesome way to see the world – this year I have run in New Zealand, Australia, Iceland, the UK, France, the US and probably a couple of other places I’ve forgotten about. Not only does running sooth my mind, but it also shows my two awesome kids that a guy who was fat and asthmatic as a kid can turn things around. I don’t dwell on that stuff too much but I’d like to think I set a good example for my boys. 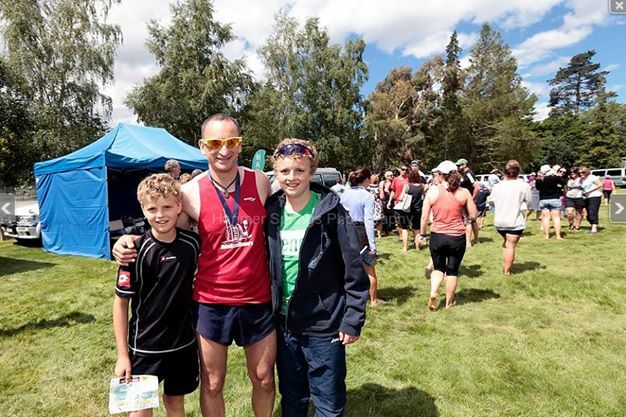 So far this year I have run about 3500km including nearly 120 half marathons – but while this was fun, it wasn’t doing anything for anyone apart from me. I’ve always wondered if I should do something for charity by combining running with a good cause.. I found the perfect outlet and am stoked to be joining the High Five-0 Challenge. In 2015, and in the space of just 50 days, Malcolm Law plans to climb 50 peaks and run 50 off-road marathons. For Malcolm there will be no rest days and very little time to recover from one gruelling day to the next. It’s big. It’s scary. But most of all, it’s massively exciting!. I’d love to do all 50, but work and family get in the way so on March 8th I’ll be running with Mal up the Devil’s Ramparts in the Lewis Pass. I’ve hiked/tramped in this area a bunch and know just how rugged it is – to run it all in one hit will be a challenge indeed! I’ll do all the hard work; train for and complete this event, but I really need your help to make a difference to the cause. If you can’t afford to sponsor my run – feel free to just send good vibes or a friendly message of support! But if you can afford to, I’d appreciate your donation. Just select the ‘Make a donation’ button on my Fundraising Page. It’s simple, fast and totally secure.